COLUMBIA, S.C. (AP) — Democrat Beto O’Rourke is making the first visit of his presidential campaign to South Carolina, where he’ll be able to test his message in front of a largely black electorate. O’Rourke’s campaign tells The Associated Press that the Texan’s two-day trip to the state begins Friday with meet-and-greet gatherings with voters in Rock Hill and Charleston and on college campuses in Orangeburg and Columbia. On Saturday, he’ll participate in a town hall hosted by state Sen. Marlon Kimpson. 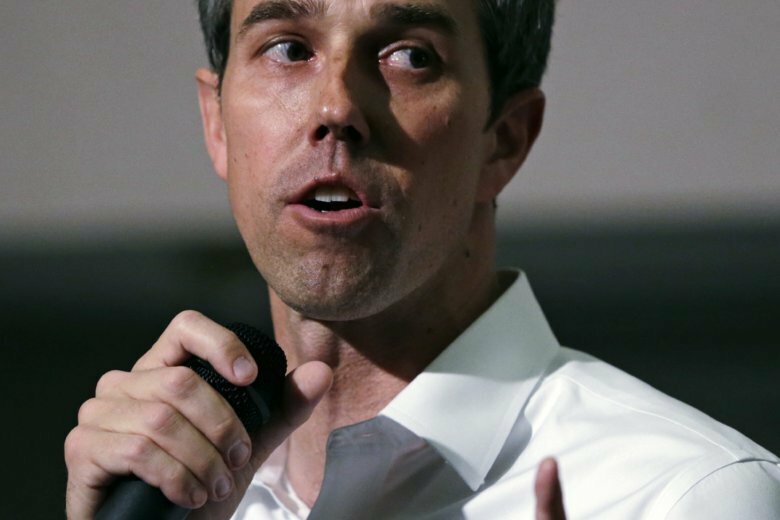 Since launching his campaign last week, O’Rourke has been touring early-voting states, as well as battleground states such as Michigan and Pennsylvania that have previously voted for Democrats in presidential elections but went for President Donald Trump in 2016. Until recently, O’Rourke, who nearly bested Sen. Ted Cruz of Texas in a close matchup last fall, was a little-known El Paso congressman whose views weren’t well-known. Recent trips to Iowa and New Hampshire allowed him to fill in some blanks and gave him a chance to try to move past some flubs, such as quips about being a part-time parent. South Carolina, home to the first presidential primary in the South, represents the first place for O’Rourke to test his mettle in front of a largely black electorate. According to AP VoteCast, a nationwide survey of the American electorate, nine in 10 black voters in Texas voted for O’Rourke in November’s general election matchup with the Republican Cruz. Among Hispanic voters, 69 percent voted for O’Rourke, although those groups together represented just 35 percent of voters. Campaigning authentically to a largely black electorate is something all the 2020 presidential campaigns are striving to find ways to do. Sens. Cory Booker of New Jersey and Kamala Harris of California, the two black candidates in the race, have held town hall meetings in rural areas with significant black populations. Booker participated in events commemorating Martin Luther King Jr., while Harris appeared at a fundraiser for Alpha Kappa Alpha, the country’s oldest black sorority, and visited Mother Emanuel AME, a historic church where nine black parishioners were massacred in 2015. O’Rourke makes his debut in South Carolina as a number of his fellow contenders visit as well. South Bend, Indiana, Mayor Pete Buttigieg is crisscrossing South Carolina on Saturday, holding events in Greenville, Columbia and Rock Hill. Booker is making his third trip for townhall-style gatherings that day in Rock Hill and Columbia. He’ll return March 27 for a televised CNN town hall.